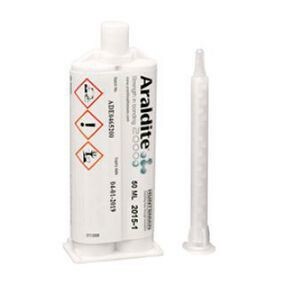 Araldite 2013-1 adhesive is a two-component adhesive that dries at room temperature, comes in creamy form with good rigidity and durability. The product is a catalyst with good chemical and environmental resistance. Although made to bond metal surfaces, it can also be used to bond other types of materials such as ceramics, rubber, plastics and most commonly used materials. Creative Engineering is the official distributor of genuine Araldite - Huntsman products. Contact us for consultation on products, services and the best prices!